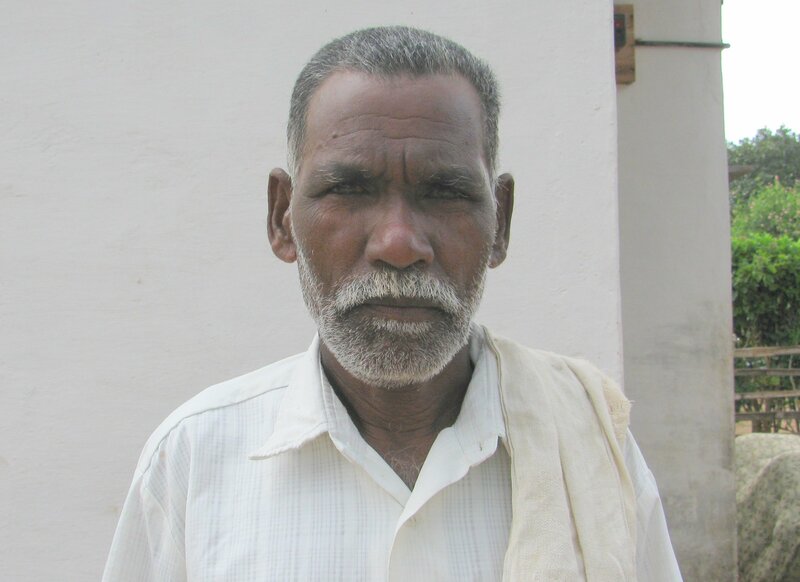 Mudalimadiah is a very senior and respected chieftain of the Kadukuruba tribals. Though I have known him since the time I went to Brahmagiri in 1987, we got to be close friends only after 1996. This was the time we had started engaging with the National Human Rights Commission about the displacement and rehabilitation issues of the tribals. The tension between the forest department and the tribals was quite intense and palpable. Every small incident had the potential to turn into an explosive situation. The tribals were getting increasingly restive with the callous and insensitive attitude of the forest department and the police. The feeling of marginalisation was increasing and fatigue was also creeping in. It was getting difficult to keep the spirits up and the agitation going. The younger generation was showing signs of making our protests violent and were pushing me to take more visibly strident steps. I also had very little to show in terms of success and all my arguments for non-violent struggle were becoming less forceful. I was beginning to feel low and wanted to give up. It was around this time that Mudalimadiah came to me. He must have sensed my despondency and offered to join me in the struggle. Despite being a senior chieftain whose words mattered, he had not got very involved with the struggle. I was not sure why he wanted to get involved now. He suggested that we spend the next few days travelling from one tribal colony to the other. Not being able to think of anything else, and to keep my flagging spirits up, I agreed. We decided to start our journey from the next day. The next evening we began our march from Jaganakote hadi, which was also the colony in which he lived. We decided to spend time talking to the tribals and sharing with them the need to keep up the pressure and continue our principled struggle. He coaxed, cajoled and threatened his fellow tribals and also spoke nostalgically of the life in the forest. We moved from one colony to the other and over the next 10 days covered all the 13 tribal colonies in the area. We ate the food that the tribals gave us and slept on the floor in their huts. This was the time I really got to know Mudalimadiah and my respect and admiration for him increased exponentially. His father was the local chieftain and he owed all his knowledge and wisdom to him. I found his involvement very difficult to explain. He had no personal stake in this struggle and stood to benefit in no way. He was neither a victim nor would he be a beneficiary later on. All that he seemed to care about was the need to set right a wrong. On one occasion, I asked him why he had joined us and what his motivations were. His answer is a leadership lesson that I still value and treasure. He said that being a ‘Yajamana’ (chieftain or leader) was not a position of authority but one bestowed with a sense of responsibility to the entire community. He said that he had to make sure that he stood up to what he felt was morally right and felt responsible in compelling his people to fight for this just cause. He knew that we stood very little chance if we continued the struggle with only the 154 families that were affected. The Government would possibly yield only if the entire 3000 families living in the area got involved. He realised that my charisma and credibility alone was not enough. He had to use his emotional authority and persuasion born out of his traditional position to mobilize the people and get them to join in the struggle. He had figured out that the best way to do this was by getting involved personally despite no personal benefits either to himself or to his family. He knew that he had to live the value of selflessness and experience the uncertainty and insecurity of the struggle to have any charismatic influence on his fellow tribals. He seemed to clearly understand that I as an outsider may have legitimacy in the eyes of the Government, but he would always have greater legitimacy with his own people. He was strategic enough to realise that unless we combined our strengths, we stood very little chance in our negotiations with the Government. More importantly, he told me that he realised that it was important for me not to lose faith in myself. And the only way he thought he could keep the flame burning in me was by making me live the life of the tribals and get to experience first hand, their trials and tribulations. And this definitely worked. I was so moved with their plight that I resolved I would not accept defeat and would keep the struggle going till we achieved our objective. Suddenly, this was no more a problem that the tribals faced. It was as much mine too. Looking back, it was this sense of ownership and understanding of the problem at a very intimate and emotional level that kept me going till we realised what we wanted. True to his word, Mudalimadiah neither claimed any credit nor any physical benefits for all his efforts. Even today, he fondly recollects our time together and the sleepless nights that we spent thinking and dreaming, despite all the odds that were stacked against us. Looking back, these were some of the most valuable lessons that I learnt in ‘Adaptive Leadership’. Next Article The UK experience – inspiring and rejuvenating!